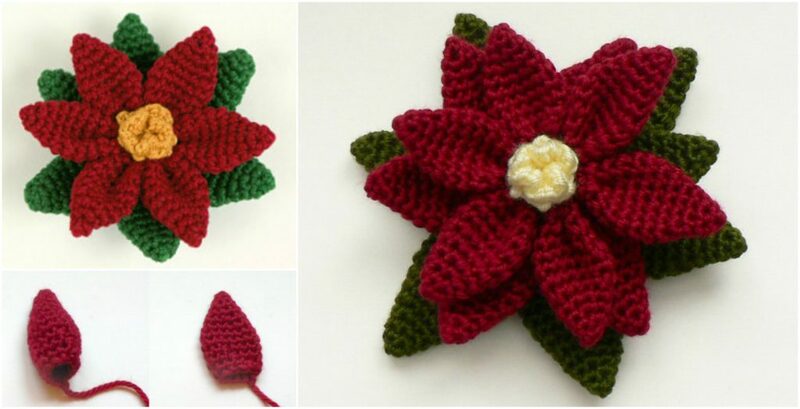 Today we want to show you an article about crocheting this beautiful poinsettia flower that is presented on the photos. As many of the visitors and viewers of this project say this is the most beautiful poinsettia that I have ever seen. My advise will be to crochet as many poinsettia flowers as possible and to achieve this goal here in this article you are given an opportunity to learn how to crochet it own your own. so that means that there is some kind of instructions attached to the article.